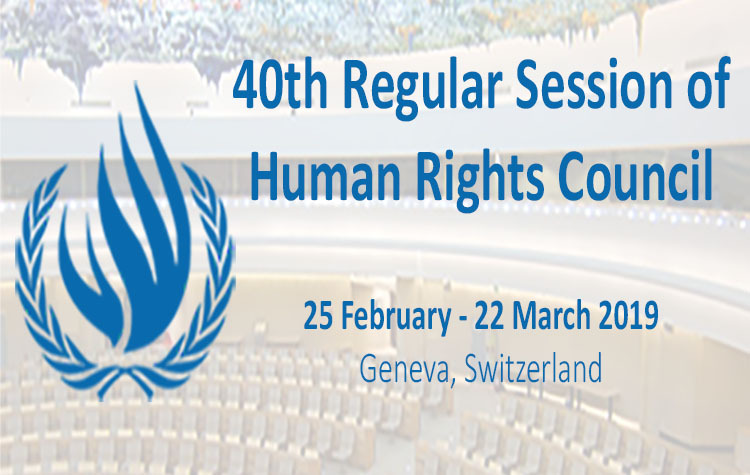 Mr President, We share the Special Rapporteur’s concerns on human rights violations in the context of the 2018 National Assembly elections including on restrictions to freedoms of expression, assembly, and association, and threats to human rights defenders, media, independent analysts and the political opposition. Such increased restrictions prevented this year’s elections from being free and fair. While we acknowledge the recent release of human rights defenders and political activists in detention, we note that restrictions are not fully lifted and many still face detention. As the Rapporteur’s report indicates, an ever increasing number of legislation and administrative provisions undermine democracy and civic space. Onerous reporting procedures and vague provisions in the Law on Association and Non-governmental Organisations (LANGO) impose severe restrictions on civil society, while the Trade Union Law threatens labour rights. Provisions of the Penal Code, in particular the recent amendment to add lese majeste provisions, as well as the Inter-ministerial Proclamation on Controls of Publication of Website and Social Media Processing via Internet, add broad restrictions on freedom of expression, and undermine protection for human rights defenders, journalists and dissidents. The draft Cybercrime Law, if adopted, will extend these restrictions. Genuine reform cannot be achieved without the repeal or review of these restrictive legislation in line with international human rights standards. We call on the government of Cambodia to release and withdraw all politically motivated charges against human rights defenders, land activists, union leaders, opposition leaders, journalists and civil society actors. We condemn today’s conviction of the four human rights defenders from the Cambodian Human Rights and Development Association (ADHOC) and an official of the National Election Committee (NEC) on trumped up criminal charges related to their legitimate human rights work. Furthermore, the government’s non-responsiveness to technical cooperation is concerning. We call for Cambodia and the country mandate to be considered in the future under item 4, unless meaningful steps are taken to expedite the implementation of all recommendations by the Special Rapporteur, and previous recommendations of successive Special Rapporteurs, in close cooperation with the Office of the High Commissioner for Human Rights (OHCHR).